Crown stays all drilled and we have now moved onto drilling the 1,600 side stays. Trial fitting of the copper firebox will then follow. Read more about 45551 BOILER UPDATE! Firstly, an apoligy from me for the delay in posting this up-date. The reports are created around the schedule for our Warrior Newsletter, for this up-date I just forgot to post it on the web-site! 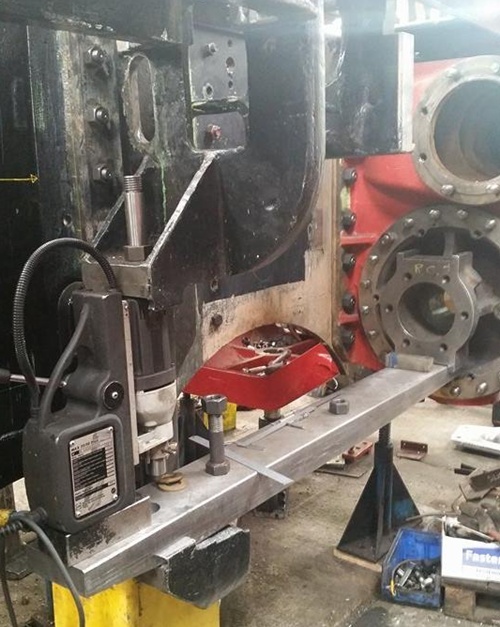 Just a quick end of year report majoring on progress on the Boiler at Heritage Boiler Steam Services. Following the decision by LNWR Heritage to end all sub-contract work, the workload for the engineering team has increased substantially. This has impacted in several areas, including the time that would normally have been spent compiling these engineering updates. I hope that the workload will reduce in the coming months so the frequency of the reports will become more frequent. This report starts with the good news that Chris Collins has returned to work at Llangollen following his medical issue earlier in the year. Work has continued on a number of fronts at Llangollen in the last month. Unfortunately, I have to start this report with some very un-welcome news. 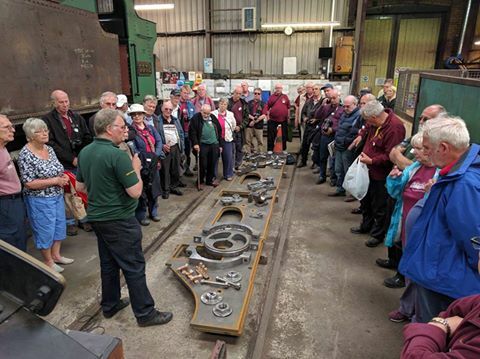 Chris Collins, one of the 2 Llangollen Railway Engineering engineers that is working on The Unknown Warrior has suffered a heart attack and has subsequently spent some time in hospital. I am sure everyone will join us in wishing Chris a speedy recovery and look forward to seeing him back at Llangollen as soon as possible. Our Chief Engineer has been playing with his new camcorder and made this walk round up-date video of the loco build. 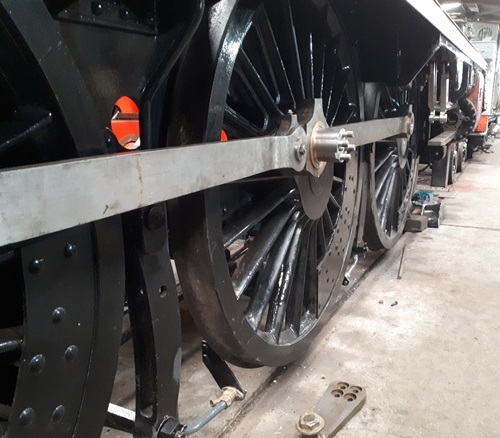 Following on from the fitting of the Bogie at Tyseley on 4th February, work has continued on preparations to fit the Valve and Cylinder Liners. 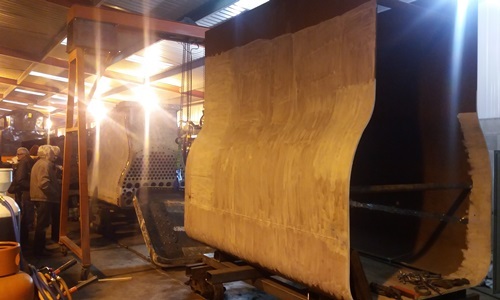 Following the fitting of the bogie to The Unknown Warrior at Tyseley Locomotive Works in early February 2016 we are pleased to be able to publish these photos of The Unknown Warrior.in the yard at Tyseley. Work continues on the construction of The Unknown Warrior at number of locations. The construction of a steam locomotive of any size is a complicated engineering task and the past few weeks have proved to be just that. While it may appear that not a lot is happening above the surface, in fact the 8 legged duck is paddling furiously although perhaps not all in the same direction! 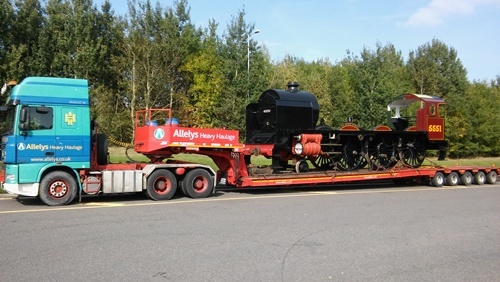 The major work of permanent fitting the cylinders to the locomotive has been completed.